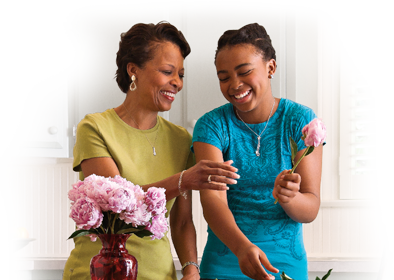 Hurlburt offers many Healthy Climate® Solutions from Lennox and Honeywell. Solutions to your indoor air quality problems are only a phone call away. From the #1 Rated filtration system to whole-home dehumidification, there’s an innovative solution you can feel good about. Hurlburt has been providing indoor air quality solutions since 1959. You might be surprised at some of the culprits of poor indoor air quality. Healthy air at home feels good. There’s no place—and no feeling—like a healthy home. It’s where you can relax in perfect comfort, without thinking twice about breathing in allergens and pollutants. When your home’s air is clean, your family breathes and feels better. Fewer particles and chemicals floating around your house can mean fewer headaches and allergy flare-ups. And when humidity levels are where they should be, you don’t have to worry as much about mold and mildew, which can trigger an asthma attack or cause other health problems. Signs of an indoor air quality problem in your home include musty odors, condensation on windows, discoloration of walls or ceilings, loose drywall tape, wood warping and peeling or chipping of paint. How you feel is also a good indicator of whether or not you have a problem with indoor air quality. If you can breathe easier when you’re away from home, your home’s air may not be as healthy as it should be. Install a carbon monoxide alarm near all sleeping areas. Alarms can be purchased at most hardware stores. Make sure no one smokes in your house. Clean regularly to get rid of dust mites, which can aggravate allergies and asthma, particularly in children. You can minimize the problem by installing a whole-home filtration system with a MERV 16 rating, the highest capture efficiency among air cleaners. Make sure anything that burns gas is vented to the outdoors. Avoid using scented candles or aerosol sprays to control odors. Try to find out what’s causing the odor and eliminate it, rather than masking it. Use cleaning supplies, paints and hobby products that are labeled as low- or no-VOC (volatile organic compound), which means they are safer for your house and the environment. If you have concerns about chemical vapors, install an air purification system. Avoid air-quality products that produce ozone, a known lung irritant. Keep humidity levels under 50% to prevent mold and mildew buildup. If you live in a coastal or warm region, use a dehumidifier to remove excess moisture from the air. Use a humidifier to help ease respiratory irritation caused by dry winter air. Power humidifiers produce a pure, bacteria-free vapor to restore moisture to indoor air. Make sure your home is properly ventilated to prevent moisture problems. If you have a newer home that is tightly sealed, install a ventilation system to replace stale, contaminated indoor air with fresher outside air. Have your heating and cooling equipment inspected to make sure there’s no buildup of moisture or contaminants. The right humidity levels can make all the difference. Properly humidified air not only feels better on your skin, but it can also allow you to heat and cool your home at more energy-efficient temperatures. With fuel and electricity costs on the rise, today’s homes are sealed and insulated better than ever. While this helps reduce utility bills by keeping heated or cooled air from escaping, it can create uncomfortable living conditions because the same air is continuously circulated throughout the home. It can also lead to humidity imbalances and put homes at risk for damage from mold. Your home needs a constant flow of fresh air to feel its best—and to reduce pollutants that could make your family sick. You could open a window, but in the middle of winter or a blazing summer, that means giving up your comfort. It also invites pollen and other allergens into your home. A better option is to install a whole-home ventilation system, which mixes fresh outside air with your conditioned indoor air. According to national studies, your home’s relative humidity levels should range between 30% and 60% for optimal comfort and health. When your air is properly dehumidified, your home just feels better, floor to ceiling. Few things affect indoor comfort quite like humidity. When your home has too much moisture inside, the air can feel heavy, sticky and unpleasant. When cold air is heated, it expands, causing the relative humidity (RH) in your home to decrease. This may be particularly evident in the winter months, when indoor RH can drop into single digits—similar to that of the world’s driest deserts. Designed to easily integrate with your HVAC system, a Healthy Climate® Dehumidifier removes excess moisture from the air. Depending on the model you choose, you can control humidity in your entire home or a single area. Healthy Climate humidifiers add moisture to your home’s air as needed to keep it comfortable. Working with your central heating and cooling system, Healthy Climate Solutions improve the air throughout your home, not just in individual areas. Portable indoor air quality systems are designed for use in a single room or living area, so they don’t have the capacity to treat the air throughout your entire home. The most effective options are whole-home systems that attach to your furnace or air handler, where contaminants from every room are filtered and moisture is added or removed before air is recirculated into your home. Many air purifiers and cleaners available through retail outlets are designed to filter the air in a single room, and sometimes they impact only a portion of the room. Another drawback of some portable solutions is that they can produce ozone, a known lung irritant. Whole-home systems effectively remove airborne particles in every room, and they require very little maintenance. Portable units remove between 20 and 60 pints of moisture from the air per day. By comparison, a Healthy Climate® dehumidifier extracts up to 135 pints per day. Plus, there are no buckets to empty, and systems are available that reduce humid conditions in every room of your home. Portable units must be placed in every room to match the comfort of a whole-home humidifier and require constant refilling. Plus, they can quickly become clogged with dirt, bacteria and mold, resulting in more frequent cleaning. A whole-home humidifier, like the Healthy Climate Power Humidifier, works with your central heating and cooling system, by adding moisture as needed to your home’s air.